WASD Shift: Elder Scrolls MMO? Well, after a bit of browsing on the usual information sources on the net, I found out that something awesomely amazing is possibly in the works for Bethesda and Zenimax. The game would take place a full millennium before The Elder Scrolls V: Skyrim and likely take place during the “Second Era,” hundred years before any of the other Elder Scrolls games. I tend to remain sceptical when it's 'Anonymous industry sources' handing out the info. Until I see an official statement from Bethesda or Zenimax, I am going to keep this as just a rumour in my head, so I won't be massively disappointed if this doesn't go ahead. Would definitely play a stealthy archer class I think. 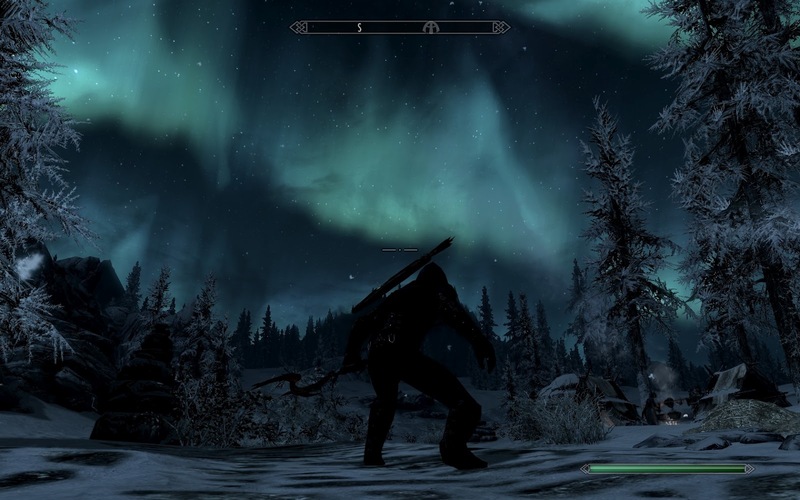 My favourite style of play in Skyrim was this. But if anyone can get me back into MMO's it would definitely be Bethesda, they are one of my favourite companies, and it would be interesting to see what they would bring into an MMO. This is definitely something I'm going to be keeping up to date with, and be sure to see more info when I can find it. The link for the article again.